Killiechassie is a country estate and house near Weem, about a mile northeast of Aberfeldy, in Perth and Kinross, Scotland. The estate lies on the banks of the River Tay in some 12 acres, about 74 miles north of Edinburgh. It was owned by the Douglas family in the latter part of the 19th century, and a new house was erected in 1865. 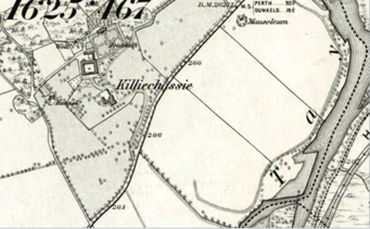 Killiechassie Estate has existed for centuries, and historically fell within the civil parish of Logierait. The name Killiechassie means "the church of the steep face" which refers to a church which stood on the hill there. This was part of the earldom of Atholl and was then granted by Máel Coluim, Earl of Atholl, to Scone Abbey in the 12th century. In the 17th century the estate was owned by members of Clan Murray who were the Dukes of Atholl. Later proprietors of Killiechassie included the Robertson family, who belonged to the house of Struan. In 1727 the estate was owned by the Reverend Robert Stewart, who left money for a chapel to be built there. On his death in 1729 he was buried here, followed by his wife, Anne, a year later. According to legend, Bonnie Prince Charlie was reputed to have sheltered in a sycamore tree here on his retreat to Inverness during the Jacobite Uprising in 1746. A small loch in the vicinity is also, according to superstition, occupied by a Celtic water spirit. 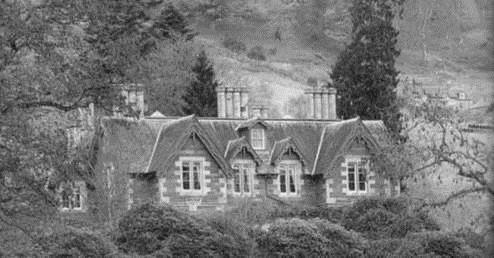 In 1850 the estate was documented to be held by a Miss Fleming, when it was described by poet David Millar as "almost opposite Aberfeldy, a sweet place, but capable of much greater embellishment." In the later 19th century the estate was owned by the Douglas family, and an Edward Octavius Douglas, nephew of John Douglas, 7th Marquess of Queensberry held it in 1871, and a Hannah Charlotte Douglas by 1892. In 1865 the older house was replaced with a new one. On 26 December 2001 British author J. K. Rowling married Neil Murray at Killiechassie, the ceremony being held in the library. She had bought the estate a month earlier as a retreat from press and public intrusion. She was reported to have paid £440,000 (£500,000 according to some) for another house which shared the same drive and then paid around £1.5 million for 72 acres of farmland adjacent to the property.